The Gold Country Chapter members enjoy Show and Tell at the Neighborhood Group meetings and at the large group events. Access the photos using the navigation tab above. 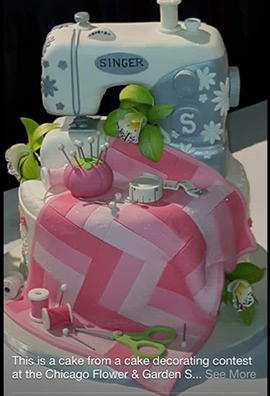 This cake was entered into a cake decorating contest at the Chicago Flower & Garden Show. Picture courtesy of Jan Hopkins.